Our Master Sea view Rooms are located in the oldest part of Cashel House Hotel and have, as their name suggests, wonderful views over the Cashel bay. These charming rooms were the original master bedrooms of Cashel House dating back to 1840. 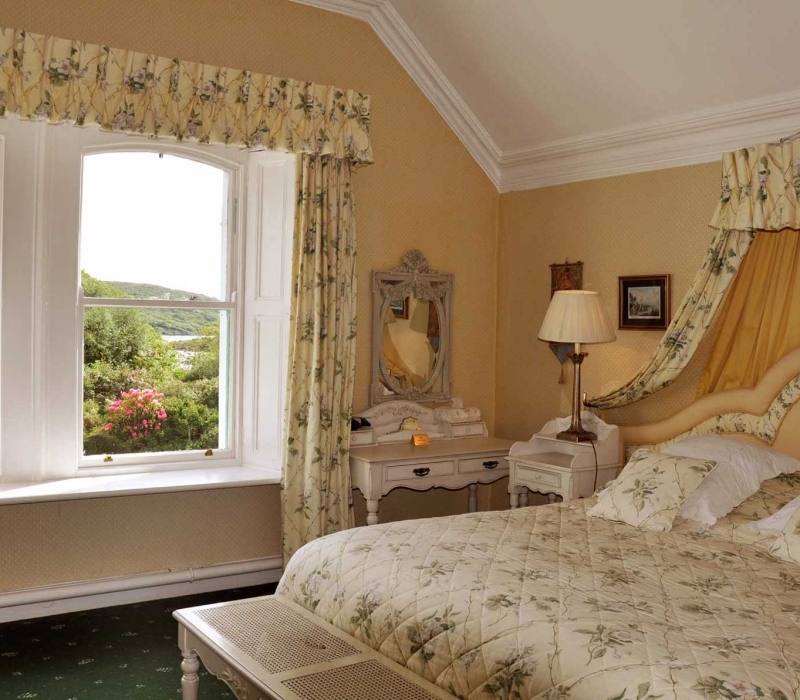 We only have two Master Sea view Rooms available to guests so an early booking is a must to enjoy one of these characterful hotel rooms that evoke a sense of a time gone by, staying in a fine country house in beautiful Connemara Co. Galway.